A great find in the centre of the old part of Bristol city. Happened across it and glad that I went in as there was a warm welcome and a good selection of beer, I forget what I had but it was in good condition. Visited on a Tuesday evening when the place was packed for a 'quiz night' with a mixed friendly crowd of young and old. Didn't think much to this place I'm afraid. Both beer and cider weren't in great condition. Friendly staff though. 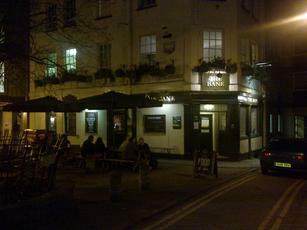 Not a bad little pub - a bit of a licenced annex for the Direct Line offices next door. Pleasant staff, small but all-encompassing range of beers available. Tucked away, but a good central location.